Esercizio di lettura e comprensione in inglese. Prova a rispondere alle domande e clicca sul pulsante per vedere le risposte. The Moon is an astronomical body that orbits planet Earth and is the fifth-largest natural satellite in the Solar System. The Moon is in synchronous rotation with Earth, always showing the same face, with dark volcanic maria and prominent impact craters. Its surface is actually dark, although compared to the night sky it appears very bright. The Soviet Union's Luna program was the first to reach the Moon with unmanned spacecraft in 1959; the United States' NASA Apollo program achieved the only manned missions to date, beginning with the first manned lunar orbiting mission by Apollo 8 in 1968, and six manned lunar landings between 1969 and 1972, with the first being Apollo 11. These missions returned lunar rocks which have been used to develop a geological understanding of the Moon's origin, internal structure, and later history. Since the Apollo 17 mission in 1972, the Moon has been visited only by unmanned spacecraft. 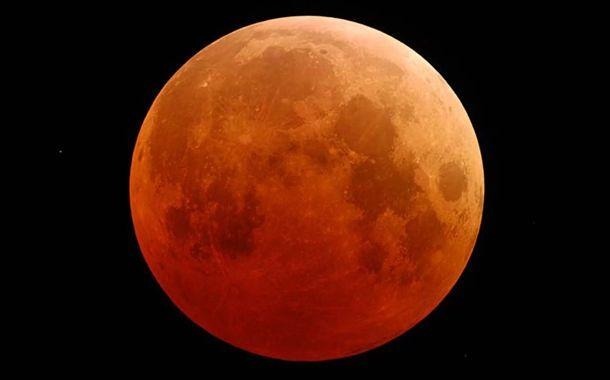 Within human culture, both the Moon's natural prominence in the earthly sky, and its regular cycle of phases as seen from the Earth have provided cultural references and influences for human societies and cultures since time immemorial. Such cultural influences can be found in language, lunar based calendar systems, art, and mythology. 1)There are only 4 natural satellites largest than Moon in the Solar System. True or False? 2)Was the Moon formed before or after Planet Earth? 3)Does Earth and Moon rotate together? 4)How does the Moon influences the life on Earth? 5)The Apollo Program was the first to reach the Moon. True or False? 6)What did scientists use to study Moon's origin? 7)The meaning of "prominence", in the last paragraph, is more similar to "ribalta", "importanza" or "protuberanza"? Is more similar to "importanza"